Our company has been offering Lobe Pumps for a long time that are designed specifically for cosmetics, pharmaceutical and food industry. Lobe pumps are suitable for pumping Chocolate, Butter, Syrup, Face Cream, Shampoos, Ketchup, Jelly, etc. in their respective industries. These lobe pumps are manufactured with hardened and ground timing gears for delivering high performance without metallic inclusions. Lobe pumps provide smooth and noiseless operation due to precision Timing Gears and highly polished Lobes. We have established ourselves as one of the proficient Twin Lobe Pumps Exporters and Industrial Lobe Pump Suppliers. Non contact highly polished Lobes. Choice of Lobe profiles, Bi-lobes/Tri-lobes/gears. Heavy duty long lasting mechanical seals. Universal mounting horizontal or vertical suction. Jacked casings for solidifying liquids. Its easy to maintain and run. 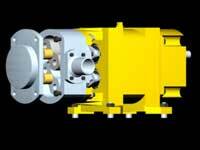 The pumps have choice of lobe profiles to meet the demanding applications of the industry. They are designed for cosmetic, pharma & food industry. Driven by hardened & ground gears profiles of the lobes are designed to deliver capacities without metallic inclusions. 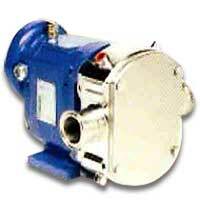 The casing & lobes are highly polished & the pump equipped with sturdy seals has smooth & noiseless rotation.